This person is iconic - a crypto trader that moves his money on a whim, hoping to catch a quick ride upwards from recent news, social media updates, or other rumors. 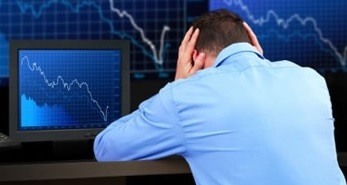 They are not serene individuals, and it's apparent that the stress of following a market that never closes has taken its toll. And I'm talking about individuals that do this full-time: What about the ordinary stock investor that has a regular 9-5 job? Are they supposed to set aside their regular career just to follow crypto movements? No. To manage the stress of being "in crypto" while also pursuing their normal career, new investors will need to choose investments that allow them to continue with their normal life without being distracted by the temporary gyrations within the crypto industry. I was one of those individuals in 2013. Even though I gave Bitcoin trading a try, the volatility involved was too much to bear, and I made a decision to purchase a crypto-currency that clearly had the best future possibility; XRP. This allowed me to "buy it and forget it" and focus on my larger career as a freelance consultant. And it worked! Yes, I admit that I found myself checking the price of XRP frequently, but I didn't get unduly upset or stressed. I knew what I had purchased, and I knew that banks and financial institution were going to take only one of the crypto-currencies seriously; the one backed by a large, reputable, Silicon Valley company. What is a "zerp?" It's the nickname that XRP fans use for the digital asset. Because readers and speakers struggle to pronounce a soft "x", XRP is known colloquially on the forums as a "zerp." When fans lengthen out the phrase to "Zerpenning," they're referring to irrationality of the market starting to be corrected. New investors quickly discover the best choice after performing rational comparisons and looking at real-world use and adoption of technology. One crypto-currency is currently the de-facto standard for scalable production applications: XRP. 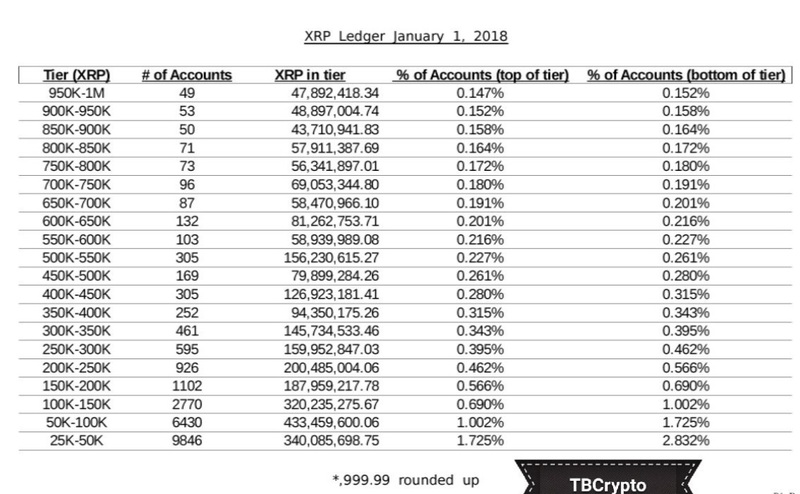 While some might argue about the ordering of this list, it's clear to me that XRP will ascend to #1 at some point in early 2018. From what I've seen, the market is rewarding XRP for the sound reasons that XRP investors have discovered for themselves. It has the best chance of widespread adoption as a scalable global currency, unlike the other choices. The market is now correcting four years of irrationality, and is finally getting around to rewarding true innovation. Continuing down the list: Ethereum has achieved enough traction to remain at #2 until competition from Codius and other smart contract platforms begins to erode its market share. Bitcoin Cash will take Bitcoin's place as the "true bitcoin;" the legacy Bitcoin has priced itself out of the competition, as fees that can range between $30 and $50 per transaction. I'm basing this new ordering off of the momentum in the market in the past two weeks; it is an intuitive exercise intended to present one future possibility. In 2013, I remember reading the Satoshi whitepaper, and then learning about how transactions are validated using a competitive process called "mining." I also remember shaking my head at that and immediately questioning if that was the "best we could do" when it comes time to validate decentralized transactions and prevent double-spending. When I continued looking at other crypto technology, I discovered POS (Proof of Stake) coins like Peercoin, and eventually encountered XRP. And yet we still see some narrow-minded groups clinging to the wasteful mining process, each for various reasons. In some cases, original developers that might have a huge personal stake in POW technology continue to try and discredit XRP. As a crypto investor, you'd be wise not to believe them; we can do better. We don't need to use massive coal-generated electricity3 to secure a cryptographic network; other protocols such as Ripple are available to achieve consensus at speeds that will truly support the scalability required of a global payment processing back-end, and yet still reap the rewards of decentralization. Bitcoin and Ethereum are not well-suited for real-time commerce. To achieve six blocks (confirmations), Bitcoin will need approximately one or more hours.4 And even Ethereum requires upwards of 2-3 minutes to achieve its minimum number of confirmations.5 6 This speed is not fast enough for real-time payments. As a crypto trader, you might have already run into the unbelievably-slow processing time of a Bitcoin transaction, as you move it from one exchange to another. This means that as soon as you press the "send" button on your XRP wallet, the XRP should already show up in your account by the time you tab over to where your exchange is and refresh the web page. That's the speed crypto day traders need to achieve fast reaction times, and it's the kind of speed that will support global commerce for Ripple. Apologists for Bitcoin will say that Bitcoin's main use case is now to be considered a "store of value." This is a radical departure of its early days, when proponents were pitching Bitcoin as a replacement for fiat currency. Now, however, it's readily apparent that Bitcoin is the "model T" of cryptos, and while it was first, it certainly was not the best. Many innovations to crypto have been added to the collective knowledge base of crypto, and unfortunately, Bitcoin has not benefited much from these innovations - it is still very slow, cannot scale, and its transaction fees are far too high for even medium and some large-sized transactions. Some companies like Blockstream - and creators of the Lightning network - have attempted to create work-arounds that scale, but it's apparent that the use case for Bitcoin even as a store of value is starting to diminish in popularity. The size of the international cross-border market is estimated to be in the quadrillions.15 The only competition thus far for Ripple in this space is SWIFT, a legacy messaging solution that can take days to transfer value from one country to another. Any XRP user may create and issue a token to another person.16 This is a key functional part of a credit network - the ability for one individual on the network to issue trust to another; the ideas is that a redeemable asset is now represented on the network, issued by an organization for business purposes. It could be a token issued by a company for an asset, or it could be a basket of other currencies issued by a central bank. Some say that airline miles might be a good use of newly-minted tokens. There's no limit to what a user-issued token on the XRP Ledger can represent. This ability to communicate with other networks provides additional liquidity to the XRP Ledger, as its extended to connect to other networks and their value. 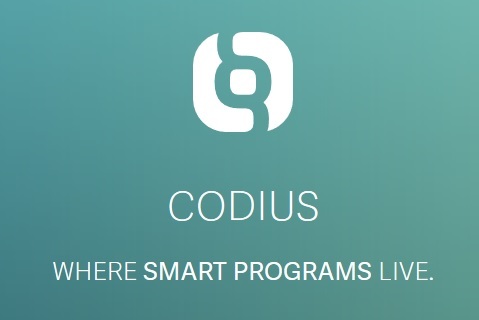 Codius, Ripple's smart contract platform, is ILP-enabled and can settle on the XRP Ledger. This off-ledger speed exceeds the metrics of even centralized payment processing networks such as VISA. In addition to its use by banks and financial institutions to lock away XRP under certain conditions, it can be used by individuals as well. Thus far, one private company has created an end-user focused solution called Reservoir to allow end-users to experiment with this function. Expect to see more end-user apps like this as retail investors opt to lock away XRP for specific purposes or as time-triggered gifts to others. One of the first things I look at when reviewing a crypto-currency (or an ICO) is what country serves as their base of operations. Does the company or non-profit organization exist in a country that will be notoriously difficult to work with, in case something unexpected happens? Or does that organization exist in a country where accountability to government oversight is the norm? This might seem like an insignificant issue, but keep in mind that owners of the crypto-currency might benefit from greater accountability if something unexpected happens. 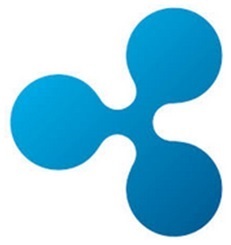 Ripple is based in San Francisco, California, and is subject to US law; law that has a history of setting a high bar for government and regulation compliance. Brad Garlinghouse is a leader that believes in efficient and laser focus for an organization. His main criticism of Yahoo's strategy - at the time that the wrote the Peanut Butter Manifesto - was that it was spreading its resources too thinly. 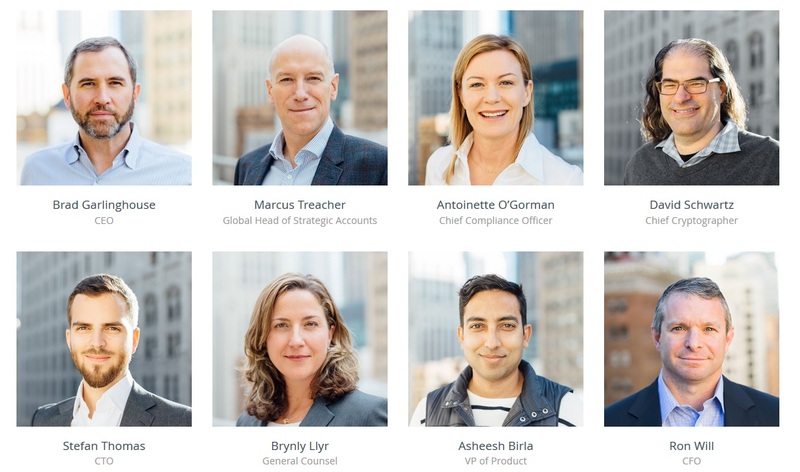 It's good to have a CEO leading Ripple who will not stray from the core vision for XRP: To be the best digital asset for payments. As an XRP owner, I've seen the volatility of the crypto market. There were many days in summer and fall when I had to endure watching how the crypto market seemed almost oblivious to the business plans of Ripple and SBI as they started to develop. Note that SBI has been consistently emphasizing XRP's role in directly reducing banks' costs, and the largest consortium of banks that use Ripple technology are in Japan. 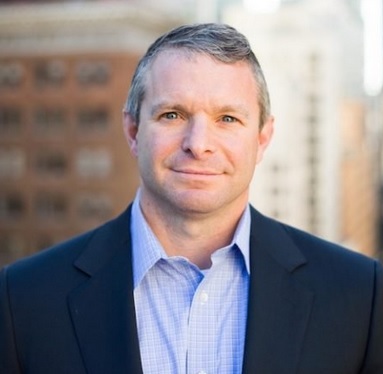 Ripple has many tools at their disposal to promote and speed xRapid adoption, and the use of XRP. They've allied with Crypto Facilities31 to help banks manage volatility risk. They've established the RippleNet Accelerator Program32 to reward businesses that are the first to sign up for using Ripple technology to process commercial payments using RippleNet. 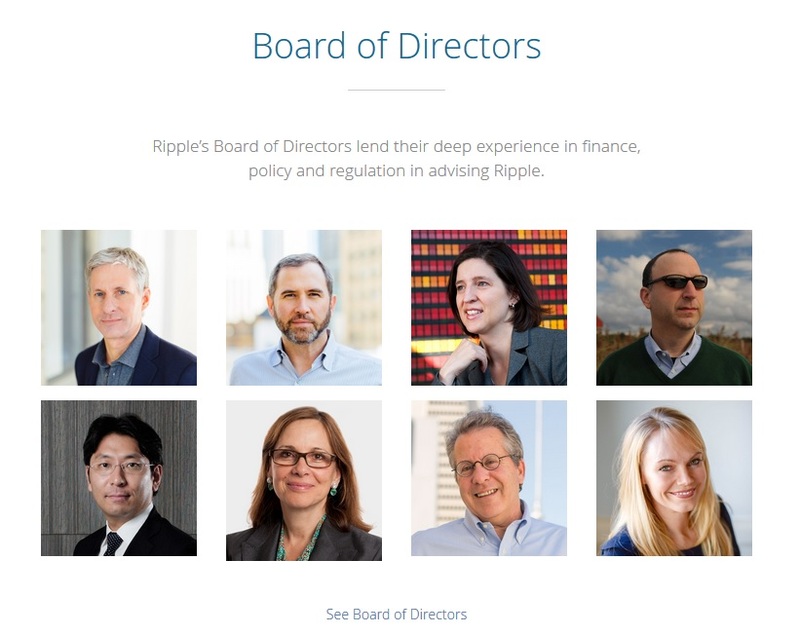 And most recently, David Schwartz indicated that Ripple would soon announce the names of two businesses that might use xRapid; he indicated that the businesses were "household names" to most people.33 This has, and continues to, generate much speculation about the next xRapid partner announcements. When you invest in XRP, one of the benefits is knowing that the largest fintech company in the world is working diligently for XRP real-world use and adoption by banks and financial institutions. In addition, it's good to evaluate how the XRP community compares to other crypto choices. The XRP community doesn't stand for misinformation. 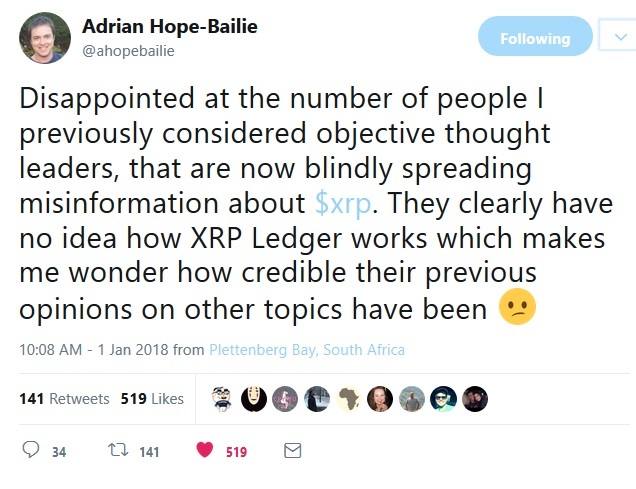 Luckily for Ripple, there are a lot of XRP investors that are willing to speak up and help correct other members of the crypto community when we hear something that doesn't sound right. 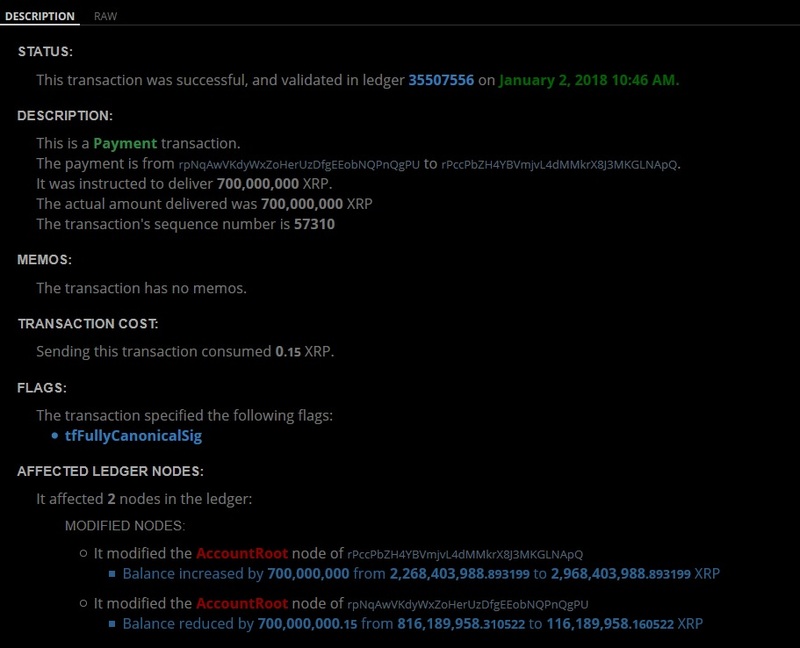 In addition to wallet statistics, a small group of XRP community members also actively tracks all large payments made on the XRP Ledger. During this tracking of transactions, various people noticed large payments ... much too large to represent payments to private investors, the community is surmising. Large purchases by banks and other financial institutions is a very positive sign, since all large purchases such as this are subject to resale restrictions; that means that the purchasing organization would necessarily be extremely confident in the continued price appreciation of XRP. If you are reading this in January of 2018, take comfort in knowing that you are "still early." While we've seen the beginnings of retail investors entering crypto, the industry is not easy for non-technically savvy people to enter. How big is the current and future crypto investing demand? Some exchanges have exceeded their own capacity for new members, and in December a number of them had to restrict people from establishing new accounts. What are the new crypto investors choosing? They are choosing the crypto with the biggest use case and the most promising future. 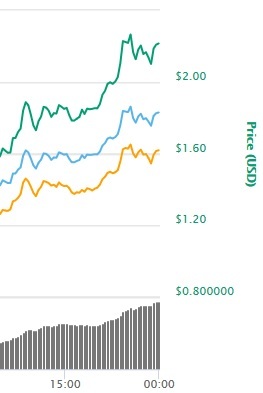 XRP took the lead in 2017, and its momentum is spiraling upward at an increasing rate. How much will xRapid supercharge XRP demand? 2018 will reveal this answer, and will also show how effective SBI's vertical integration plan for crypto will work in Asia. As an XRP owner, you can rest assured that there is a massive US-based company behind your investment, along with multiple business plans centered around adoption of the digital asset that you've purchased. Ripple has the best team, the biggest use case, and most importantly, the most innovative crypto-currency. We are missing something. 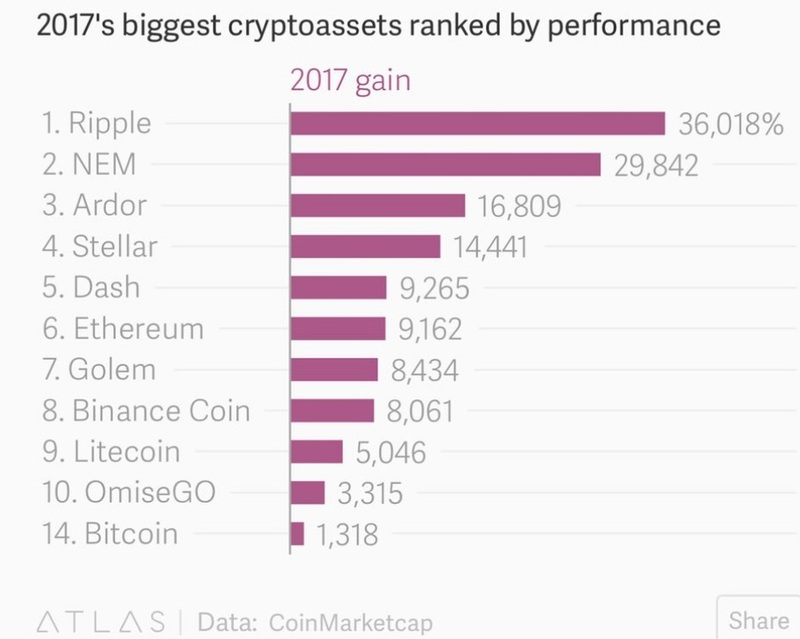 In all of the excitement of the holiday season and new year, I neglected to give adequate coverage of the predictions that Ripple is making for the coming year.